Good morning Bootleggers Community! Another Sunday morning and another awesome morning paper. Get your cup of fancy Mexican coffee and get reading this amazing Issue. We have plenty of stories for you in stock. We did not witness a lot action, however our new tuned Buzz Team had plenty ideas for this week’s issue. New tuned?! That is correct, this week two new writers joined the Buzz Team; avin and Daltonn. Avin was not able to write an article, however Daltonn wrote two amazing articles. Oh, and Daltonn is already killing the Buzz Funds, as he had an incredible idea for some Buzz give-aways! Anyway, what happened this week?! We did not witness a lot action this week, but 'fortunately' we witnessed some small shootings. Let’s start with the wipe of Quantum and The Honoured Society. It seems Quantum got wiped by BRODUERv3 and The Honoured Society got murdered by Ezio90v2. The Buzz was not able to get any information by contacting these two players, so those stories are still a mystery to us. Another shooting we witnessed is from the still invisible player Craig. He was able to kill our Colorado State Don, MrPatjuh, and other members of Jailbreak Paradise. The reason for the killings? A grudge and a vendetta, and it is definitely worth your time to read the entire article of this event. Any other spectacular shooting this week? Nah, maybe next week! In this Issue we have a great column, written by Daltonn, regarding visiting crews on Bootleggers. It never occurs in real life, so why is it such a trend on Bootleggers?! Next we have an article about the new Nevada State Don; AtreusII. The Buzz had a fancy chat with him about his new well-deserved position. We also have a new weekly give-away. Weekly give-away?! That is… free cash… every week?! Positive! 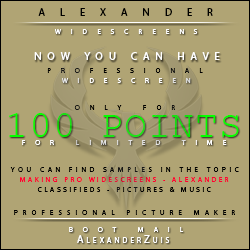 The only thing you have to do is find some pictures on Bootleggers. Soooo simple, right?! Finally, we have our fantastic weekly articles, such as Behind The Name, Once Upon A Time and The Forum Post of the Week! I hope you all enjoy this issue as much as I do, because I believe the Buzz is definitely back in business. A much bigger and fantastic team to deliver you an amazing Buzz each Sunday! Enjoy this week’s read and have a good Sunday! A few weeks ago we witnessed the death of Jamaican. This week another State Don died; MrPatjuh. Why did they got killed and who is guilty this time? It took the Buzz some investigation, but we were able to cover the story! It's not unlikely to see someone stating on their profile that they are 'just visiting' a crew. This is something which doesn't suit the real life mafia, so why is this happening on Bootleggers? A new game has entered the realm of mobsters here at the Buzz, will you be the first to find hidden treasure? This week we witnessed the wipe of Quantum and The Honoured Society. Together with these wipes we witnessed anger, laughs and revenge. We have witnessed a new state Don and the lucky person is AtreusII. The Buzz had a chat with him regarding his new well-deserved position. 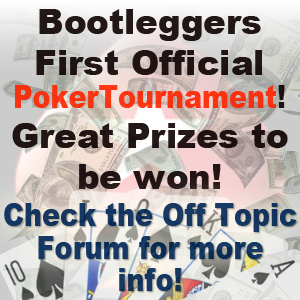 Each week we interview two random players of Bootleggers. The victim of this week’s issue: Dizaster and NaamloosII. Here we go again! A new forum post of the week. This week gambling comes to order. This week we witnessed the promotion of a new State Don; AtreusII. He picked the State Nevada, a state which was not picked before this round. Colorado State Don, MrPatjuh, Murdered! A busting vendetta resulted in the death of MrPatjuh. Who shot him? Craig did. What's his username? No idea, really! Quantum and The Honoured Society Wiped! It seems that Quantum got wiped by BRODUER and The Honoured Society got wiped by Ezio90V2.